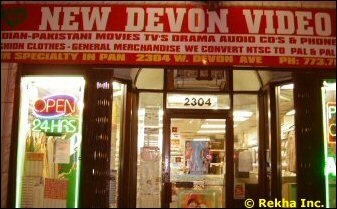 When it comes to purchasing new or old Bollywood and Indian movie DVDs and music CDs, Devon Avenue in Chicago suburbs offers decent choice. Sporting names like Bombay Video and Video Palace, these Indian stores sell both new and old Hindi movie DVDs and music cds. Whether it's SRK's DDLJ, and Dilwale or Salman Khan's PRDP, and Jai Ho or Honey Singh's music albums, you can be sure to buy or rent them all and more at Chicago Indian DVD and music stores.